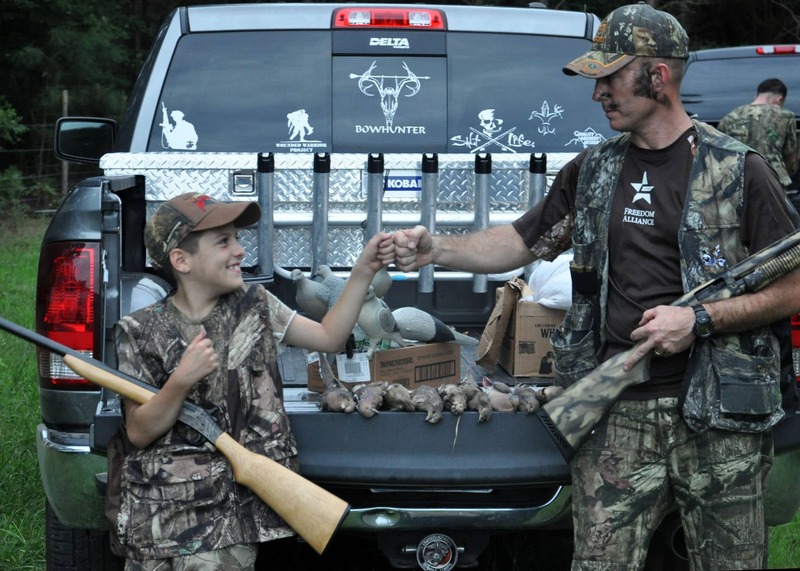 At dawn on the first day of dove season, members of the Big Rack Trophy Club of North Carolina gathered in the countryside of Roanoke Rapids to provide a dove hunt for military service members. The hunt club partnered with Freedom Alliance to host some special friends of our organization and their guests. One of those friends is Marine Chief Warrant Officer Gary Stouffer came dove hunting with his son. With several tours under his belt, Gary has survived multiple IED blasts and a devastating CH-53 helicopter crash. In 2005, Army Sergeant Eric Edmundson survived an IED blast while on patrol in Iraq, but suffered an anoxic brain injury as a result. Doctors told his parents that he would remain in a vegetative state indefinitely. Eric, however, challenged that prognosis and rehabilitated. 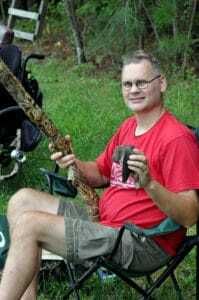 A hunting enthusiast and adventurer, he now participates in hunts all over the world. Eric’s parents accompanied him to Roanoke Rapids. Air Force veteran Matt Lutynski is medically retired, after enduring several surgeries, including a hip replacement. That didn’t keep him from attending the hunt either. It was an honor to also include Ben Sheely and his fiancée. Ben is an infantry Marine, currently serving with Third Battalion, Eighth Marine Regiment out of Camp Lejeune. The troops and Big Rack Trophy Club members met at their headquarters in the early morning. The participants queued up along the edge of a soybean field to shoot clays—target practice in preparation for the anticipated flight of the migratory birds later that afternoon. After lunch, the hunters set out to a nearby farm for the shoot; a sunflower field was prepared and set with decoys. Using an “L”-shape formation within the surrounding woods, the gunners took advantage of the cover and optimum visual as the doves came in to land. Eric, unable to shoot in this type of event, was no less happy to be in his element and content to watch his father hunt. At the end of a successful shoot, spent shells collected and vehicles loaded, Freedom Alliance led the troops to the local Texas Steakhouse, which was especially proud to host our military service members for dinner.